The fee structure for top MBA Colleges in India such as the IIMs, XLRI, MDI, IIFT, NMIMS are among the highest, starting at Rs.15 lakh and above, and hence it is very important to know the MBA Colleges in India with Low Fees and good Placement records at the same time. With most of us not being able to afford the high fee of some of the reputed MBA Colleges in India, it is important for us to know the MBA Colleges in India with Low Fees. This will help us understand and set a specific target for MBA Colleges and create an opportunity to study in MBA Colleges in India with Low Fees. Faculty of Management Studies (FMS, Delhi), also popularly known as the “Red Building of Dreams” is one of the oldest B-Schools in the country. It was established in the year 1954, under the aegis of the University of Delhi and is a part of this Central University. It is one of the premier MBA colleges in India and makes its way into the league of top three IIMs. It is known to impart quality education, with a minimal Fee Structure and excellent Placement opportunities, which makes FMS, New Delhi one of the highest RoI B-schools of India. Not only does FMS come in the top 5 MBA Colleges, but the students also boast of studying in the MBA College at a very low Fee. Placements are no concern when you study in FMS Delhi, you name a company and you find it recruiting from here. Expenses: Less than 1 lakhs including living expenses as well. Tuition Fee is in a 25,000 range. This one also ranks high on the list of MBA Colleges in India with Low Fees. Popularly and widely known as the CEO Factory of India, this institute has a staggering legacy of 50 years. JBIMS is located in the heart of Mumbai and has produced several industry leaders, who timely visit the institute to share their practical experiences of their respective journey, which does count for a lot. Most of the visiting faculty members at JBIMS are Corporate Leaders, who also happen to be the alumni of JBIMS. Their guest lectures provide direct insight into the present industry scenario and future vision. They possess a large alumni base working as CEO’s and at other top-notch position across the Globe in numerous big brands, which in turn helps the JBIMS students to secure high placements. The MBA Programme Fee for domestic students is Rs. 6 lakhs and for NRI/PIO the fee is Rs. 12 lakhs. It has a Placement record of 100% for the year 2018 wan ith average salary of Rs. 18.91 lakhs. Top recruiters at JBIMS include Abbott, Aditya Birla Group, AkzoNobel, Capgemini, Citibank, DBS Bank, Goldman Sachs, HSBC, ICICI Bank, IDFC Bank, J P Morgan Chase, McKinsey & Company, P&G, Piramal, RBL, RIL, Standard Chartered, Tata Motors, Vodafone and the likes. Besides being an institute with a great reputation, low Fee Structure and, JBIMS is also known to be a strong player in MBA (Finance), yet, it has been doing fairly well in other specializations as well. Certainly, a go-to college for MBA candidates. Formerly known as the National Institute for Training in Industrial Engineering, NITIE is a prestigious Post-graduation education institute located in Powai near Vihar Lake in Mumbai, India. The institute, which started off as an Industrial Institute, now offers Post-graduate Diplomas in various fields of management and industrial engineering, as well as Doctoral level fellowship programmes. The institute, in its initial days, was spread across the country with knowledge centres situated in Hyderabad, Chennai and Delhi. Gradually, during the late 1980s, these nodal centres were shut down and a single centre was formed, which is now located at Mumbai. 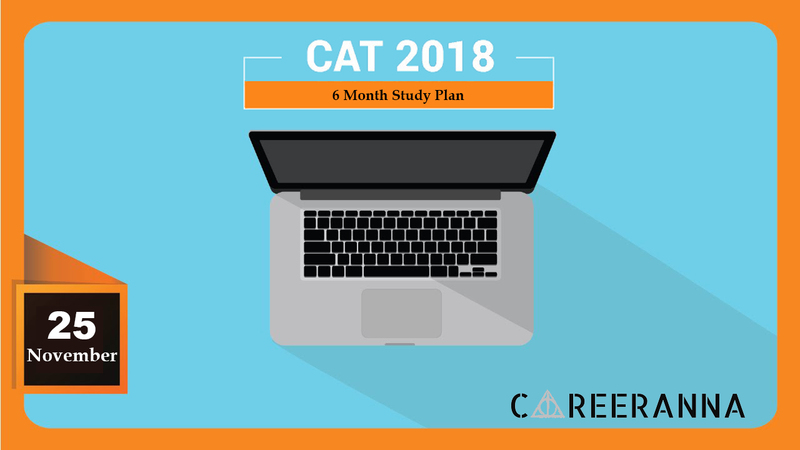 Ranked among top 10 colleges consistently and known as Mecca of Supply Chain Management, along with prominent profiles being offered across the specializations. Expenses: Approximately 8-8.5 lakhs including hostel charges. TISS was established in the year 1936 as the Dorabji Tata Graduate School of Social Work. TISS is regarded as India’s first school of Social Work. The institute started off by offering Post-graduate Diploma in Social Work. However, over the years, TISS has expanded itself and now offers courses in Policy, Planning, Action strategies and Human Resource Development. Presently, TISS has four campuses Mumbai, Tuljapur, Hyderabad and Guwahati. It is a renowned college for HR, Ranked Number 2 after XLRI, when it comes to HRM. Runs multiple programmes in varied domains. 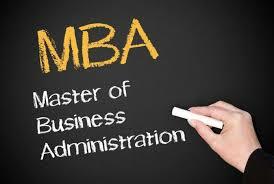 It ranks high on the charts of MBA Colleges in India with Low Fees for all its’ programmes. Fee: Approximately 2 lakhs including hostel charges. The Indian Institute of Technology Delhi (abbreviated IIT Delhi or IITD) is a Government-run institution. It was established in 1961. The IIT Delhi is also rendered the status of Institute of Eminence (IoE). These IoEs will have greater autonomy in that they will be able to admit foreign students up to 30% of the admitted students and recruit foreign faculty up to 25% of the faculty strength. Ranked among top 20 Colleges. IIT Roorkee is the seventh Indian Institute of Technology. In 1949, it became a University remained as the University of Roorkee till 2001. It was converted into an IIT in 2001 by an act of Government of India and an ordinance is now converted into the act by Parliament to make IIT, Roorkee an Institution of National Importance. The institute possesses 21 academic departments covering Engineering, Applied Sciences, Humanities & Social Sciences. The Institute offers various UG, PG, Integrated and PhD Courses in Engineering, Management, Science, and Architecture. It is ranked among top 30-35 Colleges. This institute came into existence in 1981 and possess an autonomous status, granted to it by the UGC. It ranks among the top 25 management institutes and top 10 premier B-schools in India. It serves as a beacon of light to all its students and widens their scope in terms of meaningful learning and education. This one ranks rather low on the chart of MBA Colleges in India with Low Fees. However, it offers Full time, Part-time and Executive Programmes in Business Management, along with Masters in Computer Applications and Doctoral Programmes. All the Programmes at the said institute are approved by All India Council of Technical Education, Ministry Of HRD, Govt. of India and University of Mumbai. Department of Management Sciences (PUMBA), Savitribai Phule Pune University features amongst the oldest Public Universities offering an MBA programme in India. The highest CTC offered to the Batch of 2015-2017 MBA++ Programme was Rs. 9 lakhs per annum and the Average CTC offered was Rs. 5.94 lakhs per annum. The flagship program offered by PUMBA is MBA++. The Banaras Hindu University was established in the year 1916. It is one of the largest institutes in India and is known for its state-of-the-art campus, environment, academic standards, facilities, values and culture. Expenses: With approximately 2 lakhs including Hostel charges, it ranks well amongst MBA Colleges in India with Low Fees. MBA (HRD) programme of the Delhi School of Economics has been designed to cater to the growing needs of industry in the area of Human Resource and Organisational Development. MBA (HRD)’s main goal is to provide quality education to highly motivated individuals so that they can provide professional expertise to the corporate world in the area of human resource and organisational development. Total Expenses: Approximately 1 lakhs. One institute which really deserves to be on the list of MBA Colleges in India with Low Fees. MBE or Masters in Business Economics is a Post-graduate course which is a combination of both management techniques and economic theories. Post completion of the course, students can work as an Environment Policymaker, Economics Teacher/Professor, Development Officer etc. The average starting salary of a student with a Masters is 6 lakhs per annum. MBE is a dual degree which provides a base in micro and macroeconomic principles, along with quantitative techniques. 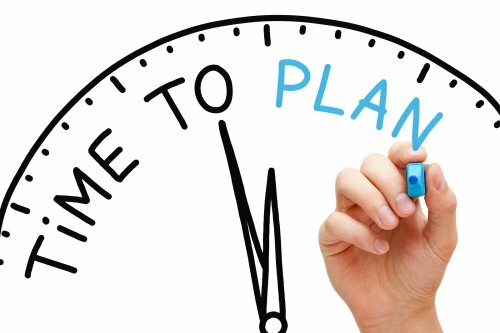 Additionally, it provides a thorough specialization in Finance, Marketing, Operations, Applied Environmental Economics concepts. The Department of Industrial and Management Engineering (DIME) at IIT Kanpur was one of the first B-schools in the country to impart management studies to engineers. Established in the year 1988, it has now become a premier B- School. Total Expenses: Approximately 4 lakhs. The Department of Management Studies (DoMS), IIT Madras offers internationally reputed research programmes at the Masters and Doctoral levels. The research works carried out in the respective department revolves around the functional areas of Human Resources, Operations and Marketing, Systems and Information Technology Management, Knowledge and Learning, Strategy and Decision Making, Projects, Safety and Occupational Health, Social Responsibility, Entrepreneurship, etc. The aforementioned details for the MBA Colleges in India with Low Fees provides the Fee Structure for top 13 MBA colleges, it will become much easier to arrive at a decision as to which college to choose for an admission to MBA. It will also aid you to organize your fund arrangement for pursuing the MBA Programme from one of the top B-schools in India.